It ain't easy being a mother. 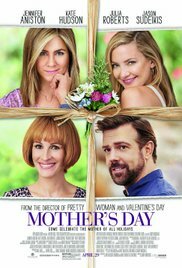 Since Mother's Day is this Sunday, I thought it apropos that I go see this movie, and in terms of the formula that Garry Marshall uses for these films, it did not disappoint. But that doesn't mean I liked it. Garry Marshall started his "holiday" series with "Valentine's Day" in 2011 and "New Year's Eve" followed on its heels. I am not going to call "Mother's Day" part of a trilogy because you can bet there will be another "holiday" in the future. "Father's Day?" "Arbor Day?" 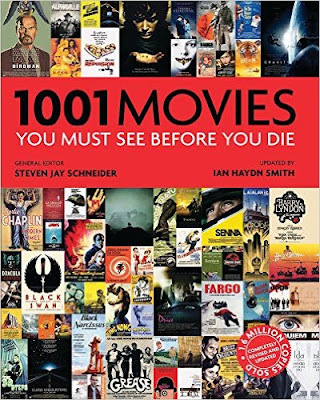 These films are star-studded and consist of a series of intertwined stories. The success of "Valentine's Day" spawned its successors and they have been successful to varying degrees. As per the formula, this time we have four intertwined stories and one marginally intertwined. Jennifer Anniston plays Sandy, a forty-something mother of TWO SONS (note that fact), divorced from Henry (David Oliphant, who looks like a gray haired version of her real life husband, Justin Theroux). So far Henry and Sandy have had a good divorce in that they like each other and parent their two sons in a friendly way. However, when Henry announces that he has gotten married to Tina (Shay Mitchell), a much younger woman who Sandy implies was once a stripper, things go pear-shaped. Since it seems Sandy might have been hoping to reconcile with Henry, she is not particularly happy about this event but is even less happy when she realizes she has to share her two sons with their new step-mother who is zealously trying to have a good relationship with them. Sandy realizes she doesn't like to share. Next, we have Jason Sudeikis as Bradley. Bradley is a widower whose wife, Dana, played by Jennifer Garner and seen only briefly in a video, was killed in the Middle East. Bradley has TWO DAUGHTERS. See where this might be going? Then we have Jesse (Kate Hudson) and her sister, Gabi (Sarah Chalke). Jesse is married to an Indian doctor (Assif Mandvi) and her sister is gay and lives next door with her partner. This might seem like a tranquil scene until we discover that Jesse hasn't spoken to her parents in years (they don't even know they are grandparents) because her parents (veteran character actors Margo Martindale and Robert Pine overacting like mad) are bigots and do not approve of people of color or lesbians. Neither sister wants to have to deal with the repercussions, criticism and disappointments of their parents knowing the truth, but hey, SURPRISE! It's Mother's Day and Mom and Dad have just cluelessly arrived in their RV. Finally, there is the story of Kristen (Brit Robertson) and Zack (Jack Whitehall). Zack is a comic in love with Kristen. They have a baby together and he wants to marry her but she keeps saying no because "she doesn't know who she is," in that she was adopted and has never met her biological mother. She knows who her mother is but is afraid to go meet her. Weaving in and out of these storylines is Julia Roberts as Miranda, a Home Shopping Network host, wearing the most god-awful wig you have ever seen. This is the second one of these Garry Marshall "holiday" films she has been in. Not sure why. Garry Marshall must guilt trip her about how he boosted her career with "Pretty Woman." And because this is a Garry Marshall film like "Valentine's Day" and "New Year's Eve" before it, you can trust that all of these seemingly independent stories will all mesh together in a tidy ending. Now I don't want to be a mean mother and criticize this homage to motherhood right before Mother's Day. Hey, I am a mother myself and would love to be "homaged!" And, hey, there is comfort in knowing what you are going to get, right? Speaking of a twist, I saw it coming miles and miles away. Here is a tip and it's only sort of a spoiler alert. I learned this from watching many, many British mysteries. 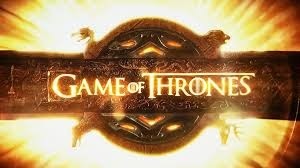 When there is a character who has a small role and seemingly no reason to be in the story, especially a character played by a famous actor or actress, make note that the character will probably be the murderer if it's a British mystery or figure prominently in the storyline at some point. You are very welcome. In this film you also get Julia Roberts in a god awful wig that she supposedly sported in a dream sequence in "Notting Hill." She should have left it there. Oh, right, I already mentioned that god-awful wig. Well, it bears repeating, because it is god-awful. But I am thinking that perhaps Jennifer Anniston, who is now People Magazine's "Most Beautiful Woman in the World," didn't want any competition and made Julia wear that wig to dumb down her beauty. I am kind of in shock after just seeing Julia look like hell in "The Secret in Their Eyes" and then this. Speaking of Jennifer Anniston, I have never been much of a Jennifer Anniston fan. Not sure why because she is a competent actress and was really good in "Cake." But when she does lighter fare, her mannerisms are annoyingly Rachel from "Friends," so I guess that's why. I also don't think she is "The Most Beautiful Woman in the World." I think Julia beats her on that one. And speaking of Julia, did I mention she wears a god-awful wig in this film? She also doesn't get to do much here but she still was able to evoke a tear from me and that 1000 watt smile of hers is still amazing. Hector Elizondo plays Miranda's sidekick, and since he was in "Pretty Woman" with her, there are some obvious references to that film. Kate Hudson doesn't get to do much, either, and that's too bad because she is a warm screen presence. Jason Sudeikis' current leading man status is a long way from SNL, even if he's more the Dad Bod kind of leading man than a George Clooney type. The other actors all do a good job with what they have to work with. It's also a family affair with Penny Marshall doing the opening voice over and Julia's kids and other members of the Marshall family making appearances. The jokes are old, the situations far-fetched and not particularly funny. I mean, is it really that funny these days to show old people who don't know how to use a computer and who are racists? And there were so many obnoxiously precocious children in this thing I am still shaking. But I have to say, the older ladies in the audience with me were walking out of the theatre gushing about what a "cute" film this was. Rosy the Reviewer says...Take your Mom to see this on Mother's Day. You probably won't like it but she will. And stay through the outtakes during the closing credits. Julia will flash that beautiful smile and wish your Mom a Happy Mother's Day. A dramatic depiction of Mother Teresa's decision to devote her life to the poor. I have always been fascinated by nuns, probably since I saw Audrey Hepburn in "A Nun's Story." But what attracted me to this film was not Mother Teresa, though I know she did good work and probably had an interesting story (I didn't really know that much about her other than her work with the poor). No, what drew me to this film was Juliet Stevenson, who stars, and who in my opinion, is a marvelous actress who has never gotten the appreciation she deserves. She is a British actress who has starred in many stage productions and toiled on British TV, but has never achieved the film stardom of a Vanessa Redgrave or a Maggie Smith. Perhaps when she gets to their age she might get there. However, she did star in one of my all-time favorite movies "Truly, Madly, Deeply." The film begins in 1946 before Mother Teresa was Mother Teresa. She began as a cloistered nun in the Loreto Convent in Calcutta. She was a respected and beloved teacher of upper class girls, but she could not shut her eyes to the poverty just outside her window. She wanted to feed the poor and felt God had called her to serve the poor and to live among them, but as a cloistered nun she had vowed to never leave the convent. Once you are a cloistered nun you can't just decide you want to be something else and leave. She needed to be "uncloistered" and only the Pope could do that. She wrote a letter to the Pope who eventually granted her wish and she formed a new religious order: The Congregation of the Missionaries of Charity and by 1952 she had come to the attention of the world. We all know the rest of the story. But what we don't know is that she carried on a correspondence with Father Celeste van Exem (Max von Sydow), her spiritual advisor, over a 50 year period and during that time she revealed her doubts, her loneliness and her unworthiness. Despite her good works, her letters showed her fears and depression and her feelings that she had been abandoned by God. The film goes back and forth between her journey and the present day where two priests, Father van Exem and Father Praagh (Rutger Hauer), are called upon to discuss Mother Teresa's possible canonization. 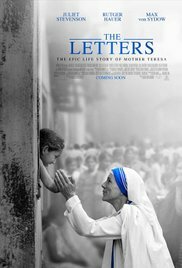 Written and directed by William Riead, the movie itself is an homage to Mother Teresa and a bit obvious. None of some of Mother Teresa's bad publicity that has haunted her was mentioned, but watching Stevenson is worth the ride even though the dialogue at times lets her down. Rosy the Reviewer says...Stevenson is always worth seeing, but the film itself is a fairly basic puff piece. However, if you are interested in Mother Theresa, you might enjoy it. In a Wyoming winter blizzard, a bounty hunter (Kurt Russell) and his prisoner (Jennifer Jason Leigh) find themselves amongst an unsavory group of guys as they take shelter in a roadhouse. Bounty Hunter John Ruth (Russell) is making his way to Red Rock with his prisoner Daisy Domergue (Jason Leigh). He says she is a murderer but we don't get any more details than that (until later). They come across Major Marquis Warrant (Samuel L. Jackson), also a bounty hunter, and give him a ride. Along the way, they also pick up Chris Mannix (Walton Goggins), who claims he is on the way to Red Rock to become the new sheriff. Because of a blizzard, the men are forced to stop at Minnie's Haberdashery, a roadhouse and lodge. At the lodge, there is Bob (Demian Bichir), a Mexican who says that Minnie is away visiting her mother; Oswald Mowbray (Tim Roth), a hangman; Joe Gage (Michael Madsen), a cowboy; and Sanford Smithers (Bruce Dern), a Confederate General. And that, my friends, constitutes our "Hateful Eight." And nothing, and no one, is as it appears. 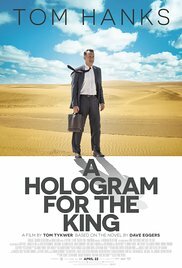 You can always tell a director with a huge ego - his movies are LONG. Oliver Stone falls into that category as does Tarantino. This one is two hours and 48 minutes and for me to want to sit that long, it had better be "Gone with the Wind Fabulous!" 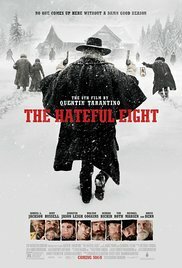 Tarantino favors gritty subjects and edgy characters who are hard to relate to, but now he's really done it. These characters have no redeeming qualities whatsoever. "Hateful Eight" is right. Most of the film takes place with all of them cooped up in one big room, where there is a lot of talking, a lot of offensive language and long stretches where not much happens. But the pay off is worth it. I am not a big fan of westerns and I don't particularly like graphic violence, but Tarantino makes it all work. Tarantino films have the look of comic books and come with fabulous scores, this time by Ennio Morricone (who won an Oscar for it). Tarantino is a huge movie fan and his films are always full of references to other films, so Morricone's score is Tarantino's homage to "spaghetti westerns." His films are also fresh and quirky, humorous and often offensive and always awash in blood and gore. All of that adds up to a major good time if you can hang in there for the entire 168 minutes. Speaking of which, Tarantino needs to edit himself a bit. For example, do we really need to watch in real time as a stagecoach enters the screen from the horizon and makes its way across the screen to the roadhouse for a total of about four minutes? I think not. It's like someone liking the sound of his own voice, except here Tarantino seems to like the looks of his films so much that he can't stand to cut anything. But his films do look beautiful and this one, shot in 70mm, is no exception thanks to cinematography by Robert Richardson (who received an Oscar nomination for Best Cinematography) and his use of interesting camera angles. Tarantino also wrote the film which plays a bit like Agatha Christie's "And Then There Were None," except it's eight nasty people stuck in a roadhouse and before they start picking each other off there is a big twist. Jennifer Jason Leigh was nominated for an Oscar for Best Supporting Actress, and I kept wondering why, but by the end, she gets to prove herself. Russell and Jackson are good, as are the other actors, but it's not really about them. They are just cartoon characters in the crazy world that is Quentin Tarantino's mind. Rosy the Reviewer says...I didn't expect to like this: it's too long, it's bloody and it's nihilistic, but Tarantino pulls me in every time. If you like Tarantino, you will like this. Otherwise, it could be a long scary ride for you. Irene Girard (Ingrid Bergman), a wealthy ambassador's wife living in Rome, loses her young son and out of guilt, wants to devote herself to helping the poor. Irene is living the good life after the war. She is part of the Roman upper classes and though she loves her young son, her life as an ambassador's wife is a busy one and she doesn't have much time for him. But when he falls down a flight of stairs and dies (suicide is suspected), her guilt makes her go inward and examine her own life and ultimately drives her to want a simpler life, a life with more meaning. Her friend Andrea (Ettore Giannini), a communist, introduces her to another world, a world of post-war poverty. As people cross her path she gets embroiled in their lives. He takes her to a community where her wealth is in sharp contrast to their poverty, but where her staid, proscribed existence belies their happy spontaneity. Irene befriends a cheerful woman (Giulietta Masina, who was Fellini's wife and muse) who is raising six children. Irene finds her a job and when the woman must miss work, Irene goes to the factory to work and cover for her so she won't lose her job. The contrast between the factory workers and Irene's upper class life of dinner parties and the theatre awakens her. She decides that she wants to spend her life helping others. She tries to help a man who is being hunted by the police for robbing a bank and ends up being arrested herself. No one understands what she is trying to do and the only way to explain why she would want to change her life and devote herself to helping poor people is that she must be crazy. Irene was a contemporary of Mother Teresa and echoes her philosophy in the film when she says "Love has no limits." But because Irene is not a religious zealot or a political proponent, no one can understand why she is rejecting her old life of privilege. She is eventually committed to an insane asylum for women where the other women also appear to be women who didn't fulfill the roles they were assigned. At the end of the film, those she helped deemed her a saint. The film is a commentary on the social conditions of European cities after WW II, class consciousness, redemption, spirituality, materialism, communism, a woman's right to choose her own destiny and the nature of love. Why it's a Must See: "[This film] is simple, elegant, deeply moving, and incredibly alive. 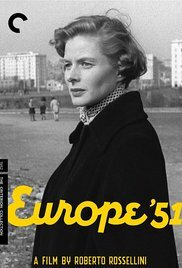 'Europa 51' reaches a level of essential humanism rarely achieved in the cinema." Bergman caused a major scandal when she left her doctor husband, children and successful American film career to run off with director Rossellini. She literally fell in love with him from his films. Now that is an elegant flirtation if I have ever seen one. And just like that, she walked away from her Hollywood career. Though the marriage didn't last, it produced five fantastic film collaborations and their children, one of whom is the now famous Isabella. From "Paisan" to "Open City" to "Stromboli," Rossellini has earned his place as the Father of Italian Neorealism," and influenced a whole generation of directors to come that included the directors of The French New Wave and Martin Scorsese. Rosy the Reviewer says...I love his films so much I would have run away with him too! The host of "Top Chef" shares her story. Born in India but moving to America as a young child and growing up not knowing her father, Padma moved back and forth between the two countries, never feeling she ever fit in in either place. But it was food that grounded her. She never forgot the flavors of India that reminded her of home and food continued to play a big role in her life. "The two things I remember about every important day or evening of my life are what I wore and what I ate." In fact, I can say with great conviction that food has played a central role not only in my professional but also in my emotional life, in all of my dealings with loved ones and most of all in my relationship to myself and my body. I am what feeds me. And how I feed myself at any given moment says a lot about what I'm going through or what I need." So with food playing a central role, Lakshmi candidly describes her growing up years in the U.S. where she was embarrassed by her unusual name and her brown skin (she even changed her name to "Angelique" for awhile). But had some opportunities to model in Europe where she attained some success and eventually landed a hosting position on an Italian TV talk show similar to our "Today Show." Some cookbooks and some cooking shows on the Food Network followed which eventually led to "Top Chef." And, yes, Lakshmi shares all kinds of behind the scenes tidbits on the making of the show. She was famously married to writer Salmon Rushdie, many years her senior. After her divorce from Rushdie, she had another relationship with a much older financier who was not just her lover but her protector and mentor, while at the same time juggling an on and off romance with a man her age. To Padma's surprise, she became pregnant by the younger man. They never married but went through an unsettling custody battle for their daughter, Krishna. One of the reasons that Lakshmi was surprised to get pregnant was her almost debilitating struggle with endometriosis, which went undiagnosed for years and which, in some part, played a role in the demise of her marriage to Rushdie. She is now a fervent advocate in spreading the word about living with this painful condition. And if you have been wondering about that scar on her arm that she doesn't hide, she tells that story too and now wears it as a badge of honor. 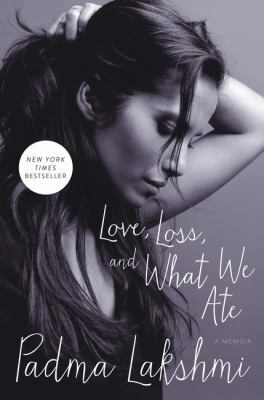 Rosy the Reviewer says...if you are a fan of "Top Chef" you will love this, but you will also enjoy this memoir if you are a fan of well-written, interesting and poignant stories of overcoming insecurity and obstacles to find happiness and success. Oh, and there are also recipes!